A FOOTBALL career is invariably a rollercoaster ride: there will be ups and downs, days to remember and days to forget. This is all part of game´s rich tapestry and what makes its stories so interesting and enthralling. 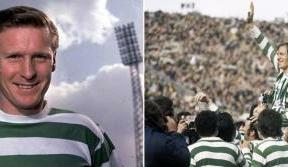 Over the course of this season the Celtic View has been catching up with some of the club´s former players to learn more about their Paradise experience – the talented team-mates, the memorable moments, the highs and lows, the disappointing episodes. Not all will be fond memories but excluding those would reveal an incomplete picture of their Hoops career. The achievements of the Lisbon Lions and their apprentices, the Quality Street Gang, are well documented and rightly so. That group of youngsters were so lauded that the next batch of players delivered by the Celtic conveyor belt possibly lived in their shadow. 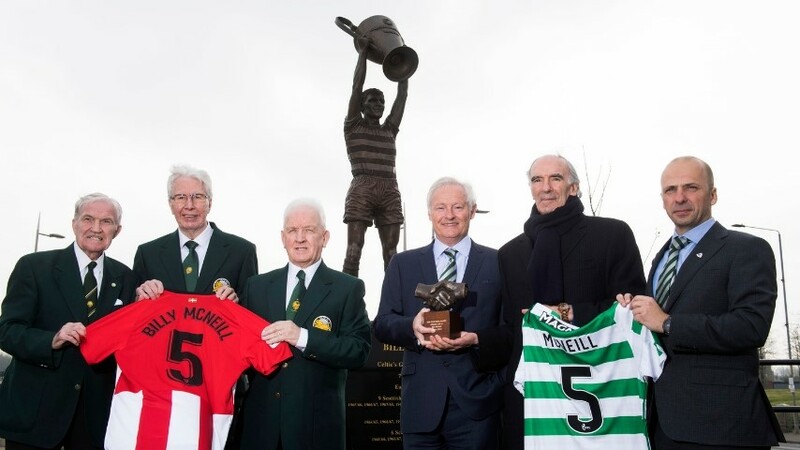 However, when you consider that group contained such burgeoning talent as the likes of Tommy Burns, Roy Aitken and George McCluskey, then you knew that the proud traditions of the club were carrying on. And it is George McCluskey his is the subject of our feature this week. He scored 83 goals in 207 Celtic appearances between 1975 and 1983 when he departed for Leeds United. 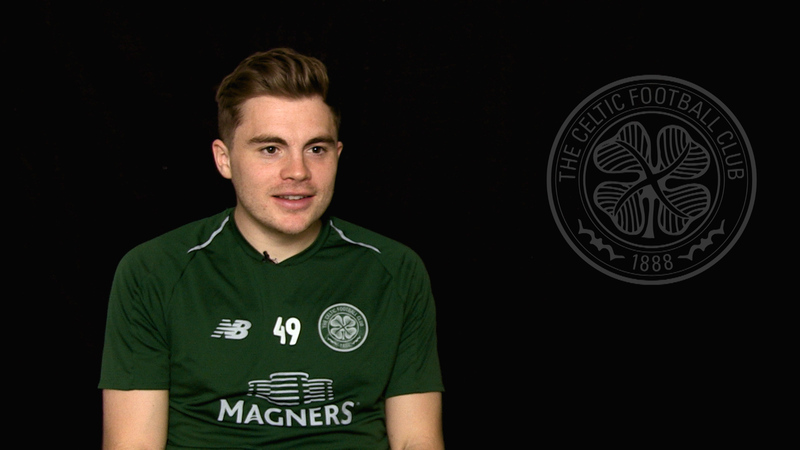 As a striker he starred in many famous Celtic games and trophy-winning moments and he now takes a look back at his career in Paradise. I would have to say Kenny Dalglish. 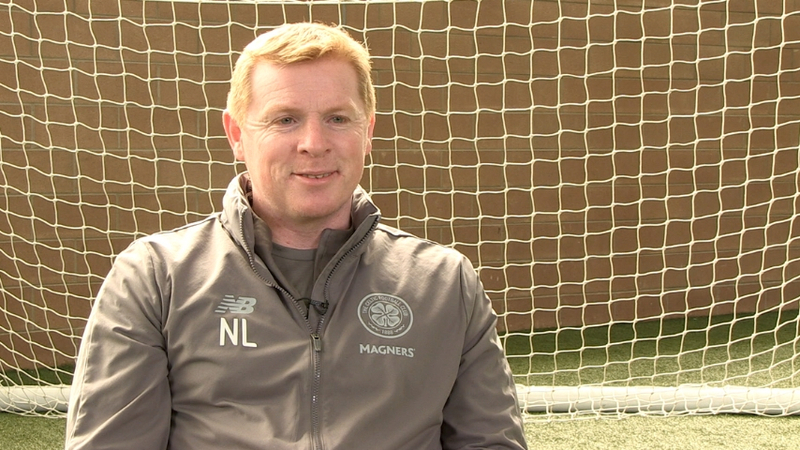 I trained with Jimmy Johnstone but I never really played alongside him but Kenny’s overall game was just fantastic. He had amazing ability but he worked hard as well. I was just a laddie, about 17 or 18-years-old and I looked up to him, but he would only have been about 25-years-old himself. He was excellent all-round and he was two-footed. 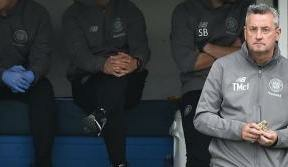 I used to train every year with Jinky from when I was about 16 or 17-years-old as every pre-season we would go down to Bothwell and a lot of people just don’t appreciate how hard a trainer we Jimmy was. He worked really hard at his game, people thought it was just natural but he worked really hard at it and he trained like a demon. The hardest guy I ever played against was Bria who played for Juventus against us at Celtic Park. He was just so single-minded that, wherever I went he was going to go. He just followed me everywhere to the extent that somebody else could have run through and scored but he wasn’t interested as his job was to stop me playing and scoring. For single-mindedness, he has to be the toughest and he was a big athlete, a big tall skinny guy and I never really got much out of him in that game. In there Scottish game there is nobody that really sticks out but it was obviously hard playing against Alex McLeish and Willie Miller at Aberdeen but all the Scottish teams were good back then. Dundee United were very good as well but the hardest to play against were probably Miller and McLeish. There’s a few but I would have to say that my favourite is the 4-2 game when 10 men won the league. Rangers only needed a draw and we needed to win to take the title. Everything seemed to be on strike that night, TV people, buses, trains but the ground was still packed to the rafters. There was a hell of a lot of pressure on us but I’d have to say it was probably one of the best games I ever played for Celtic. I was just up for it and being a supporter as well as a player, it just meant everything to me. Luckily, the first couple of things I tried came off for me. I played really well as I scored a goal plus I came along the byline and my cross hit Colin Jackson and went in so we got the result at the end of it which was the main thing and sent all the fans home happy. They’ve lived on that for years. That would probably be Real Madrid over there. I missed a good chance early doors and we never really got going, although in saying that, I don’t think we would have been allowed to win the game because the referee was diabolical! Bobby Lennox ran along the line and Uli Stielike took him from about the hips – in this day and age it would have been a three or four game ban and he never even got booked for it. We were all squealing at he referee but he did nothing. He gave a foul against Peter Latchford for holding on to the ball too long or bouncing it too many times or something and there was no such rule!. There was no way he was letting us go through. I would have to say the old Love Street because I always seemed to score there. I don’t honestly know why, I just seemed to have luck there. I just seemed to play well there and always find the net as I must have scored 10 or 12 goals there. It wasn’t a great surface there either but in those days the ground would be packed out. There was a great atmosphere with Celtic fans having their half of the stadium and St Mirren always had a great crowd as well in the other half. It was a great atmosphere to play in. I hated going to play Ayr United at Somerset Park for some reason. It was full of old men shouting at you and the wall was about two feet away from the line. Just lots of old men in bunnets, squealing abuse at you. I didn’t like going there at all, I only went a couple of times right enough, but I didn’t like it. The pitch was never great either and I remember in a game there, Johnny Doyle sending a cross in and it hit the referee in the face – and he sent him off! That would’ve been my debut for Celtic against Rangers. Well, at least it was my first start because apparently the record books say I came on as a sub in a European match against Valur before that but I have no recollection of it at all. 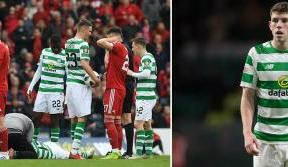 For the Ranger game, Celtic had been going though a right bad time and we had lost the League Cup final to Rangers the week before. There was a pool of players mentioned for that final and I was only 17-year-old so I thought I was there to pick the towels and the boots up after the game. The exact same squad was listed for the next game and I thought I was on the same duty but Sean Fallon told me I was playing. But you are fearless at that age and I didn’t have time to have nerves. It was a 1-1 draw and I played really well and got Man of the Match so after the game I was as proud as punch. I was taken off with about 10 minutes to go so I just got ready and headed off. I got my clothes on and headed up to Parkhead Cross to get the bus home. At that time the cross took the spectator traffic from the Rangers end – but the Bellshill Celtic Supporter’s bus was passing, the banged the window and a couple them jumped off the bus and pulled me on it. My biggest regret is that I had to leave Celtic. There was a lot of politics involved but I was quite happy to stay at Celtic but I was one of the lowest paid and I had been the top scorer the previous season. All I wanted was the same wage as the highest-paid - I didn’t want any more or any less. I refused what I was offered and there was also the changeover between Billy McNeill and Davie Hay at that time. Davie himself was absolutely fantastic with me and he kept coming back with another offer from the old board and I thank Davie for everything but Leeds United came in. I said I would still stay if they made me the same offer as everybody else, but they wouldn’t. That was regrettable as I would have loves to have stayed and played under Davie for a couple of years. The most important was probably the Scottish Cup final goal against Rangers in 1980 when we won 1-0. A lot of people say it flicked off me or hit me but I can quite honestly say that I tried to get a bit of spin on the ball. I didn’t think I got enough on it but when I turned around, big Peter McCloy was away off his goal and luckily it went in. I’d have to say that was probably my favourite goal. Of course people with say that it was a Danny McGrain shot – but it would’ve gone for a shy if it hadn’t been for me! Usually, when Danny shot, the linesman ducked! One of my favourite goals was the Maradona goal against England in the ’86 World Cup in Mexico. He took it from about 40 yards from his won goal and ran all the way through past Butcher, Roberts, two postmen and three fans, then the keeper and slipped it into the net. I thought that was a fantastic goal. There was the time Tommy Burns nearly got us killed. It was after the game against Real in Madrid. The two of us were in the hotel room lying on our beds and Tommy says, “I need to get to Mass!” It late at night, the two of us were tossing and turning and raging because we lost the game. So we put our tracksuits on and we were walking about all over Madrid looking for a chapel. These two big gates were lying open and he said, ´That looks like a cathedral´ The two of us walked into this place just after a cat had drove in. So we walked in thinking it was a cathedral – and six cops ran at us – six guys with machine guns! We tried to explain we were looking for a chapel and luckily they noticed the badges and let us go. I one of them had pulled the trigger then that was us! All because Tommy wanted to get to Mass. I think it was the grounds of some sort of government building.